This is a picture of our new apartment. 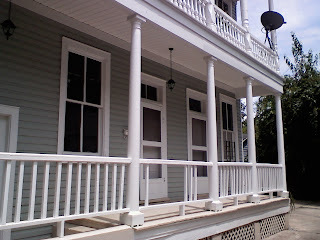 We are on the first floor and have a huge front porch. Some of the pickets of the railing are missing but it was ok because it made it easy to pass all our boxes through while we moved in.